PRAB Industrial Oil Water Separators extend the life of soluble oils, coolants, and washwater. 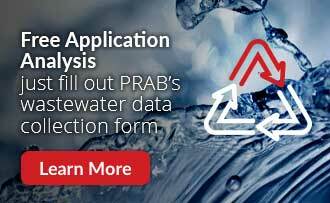 The PRAB Oil/Water Separator uses a proven and patented method for gravity separation of oil from water to less than 15 ppm. This fluid reclamation separator is designed to meet and exceed all performance requirements of U.S. Coast Guard 46CFR162.050 and IMO Resolution A393 (X) of effluent discharge of 15 ppm free and mechanically dispersed oil in water. 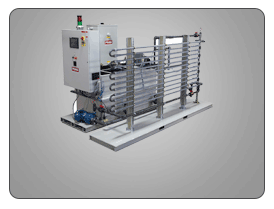 PRAB Oil/Water Separator filtration technology uses a double packed, fixed, porous media bed for accelerated fluid reclamation allowing the unit to be compact and lightweight. 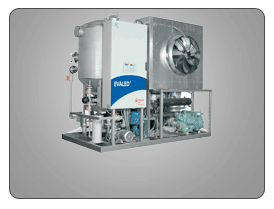 The system consists of the oil/water separator, supply pump with motor and a floating oil skimmer. Optional items include electrical controls, level switches, lid with vent, clean water discharge pump oil holding tank, oil discharge pump, and other customer specified controls and alarms. To see if an Oil Water Separators is right for your application please contact us today. Or, if you know your options and would like a quote from a product specialist click here. This standard tramp oil separator system is made of high quality carbon steel, as are all connections to the separator. 304 stainless steel units are also available. The oil weirs are PVC. All piping is PVC or galvanized steel. The supply pump is offered in a variety of materials and is driven by an electric motor. Other drive systems are available as well. 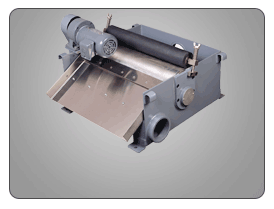 The self-contained filtration technology design allows for simple operation of the PRAB Separator. The oil/water mixture is pumped via the floating skimmer or gravity fed into the separator. The separator which uses PRAB’s unique gravity/coalescence principle, removes free and mechanically dispersed oil from the influent. The separated oil is automatically gravity discharged to a waste oil container. 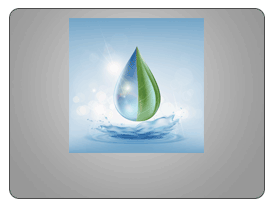 Clean water is discharged by gravity or through an optional discharge pump to the sewer.